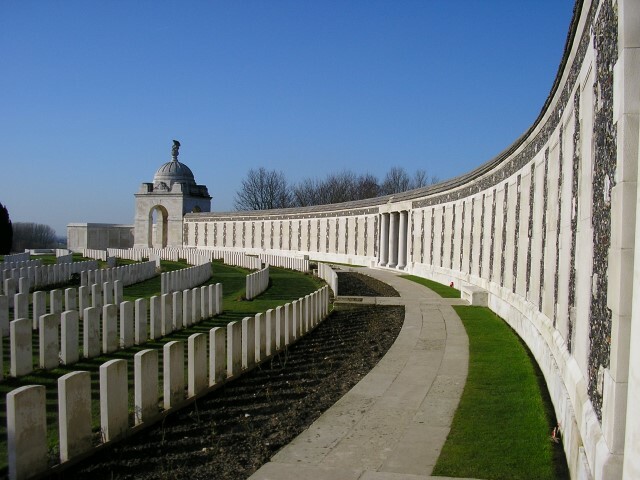 260134 Lance Corporal Joseph Oates, 2nd battalion, the Yorkshire Regiment was killed in action 8 May 1918 and is commemorated on the Tyne Cot Memorial, Belgium  and the St. Helen’s Colliery Memorial Cottages. He was about 20 years old, the son of Robert and Jane Oates. 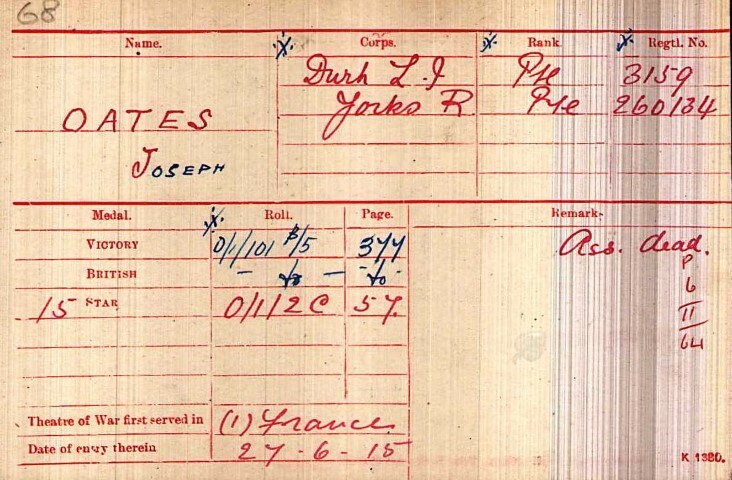 The service records of Joseph Oates have not been researched. He formerly served with the Durham Light Infantry being given the regimental number 3159 and later was transferred to the Alexandra, Princess of Wales’s Own Yorkshire Regiment (the Green Howards) at an unknown date. He entered France 27 June 1915. “The 6th [May] found the Green Howards up in the line near Voormezeele, where they relieved a South African unit and where the enemy guns were very active, firing considerably with gas shells. “At 3.15 a.m. on the 8th the enemy laid down an exceptionally heavy bombardment on our front line and support trenches lasting four hours and causing many casualties, while the trenches were practically obliterated. A month of very severe fighting ended. The 30th Division had been reduced in strength and formed into one brigade and lent to another division, the brigade in turn was decimated and was then formed into one battalion. A division nominally has the strength of about 18,000 men, a brigade about 4,000 men and a battalion about 1,000 men. The enemy had captured Kemmel Hill. The village of Locre and the town of Bailleul were in total ruin. The 2/Yorkshires lost 9 officers and 284 non-commissioned officers and men killed, wounded and missing. A total of 3 Officers and 45 Other Ranks of the 2/Yorkshire Regiment are recorded as being killed in action 8 May 1918. There can be no doubt that L/Corporal Joseph Oates was involved in very heavy fighting throughout his (almost) 3 years of service on the Western Front. 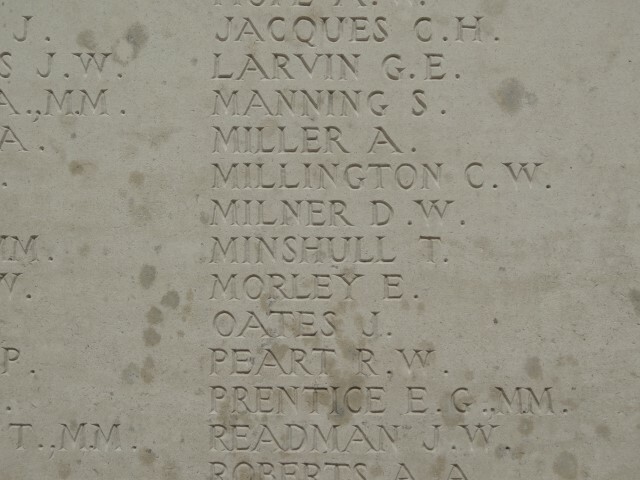 He has no known grave and is commemorated on the Tyne Cot Memorial. L/Corporal Joseph Oates was awarded the 1915 Star, the British War and Victory medals.